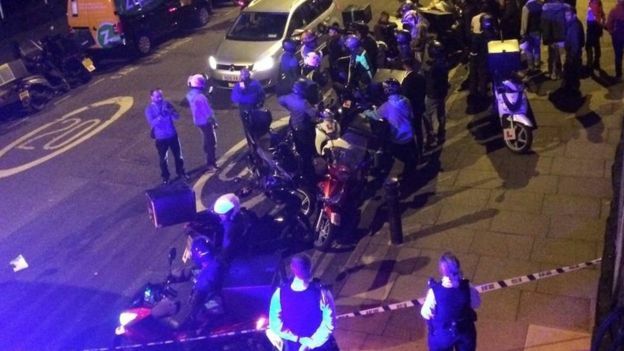 A 17-year-old boy has pleaded guilty to carrying out acid attacks on six moped riders to steal their bikes. 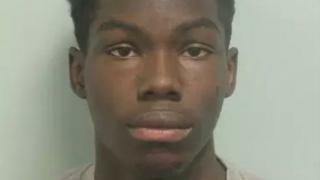 Derryck John, from Croydon, appeared at Wood Green Crown Court and admitted targeting the riders in the north and east of London on 13 July. He sprayed the riders in the face with a noxious liquid and stole two mopeds before trying to take another four. Earlier reporting restrictions preventing John from being identified because of his age were lifted. Police said one attack had left a rider with "life-changing injuries". John had been due to stand trial after he initially denied six counts of throwing a corrosive liquid with intent to "disable, burn, maim, disfigure or cause grievous bodily harm", two counts of robbery and four counts of attempted robbery. Judge Noel Lucas QC told Wood Green Crown Court there was an "overwhelming, huge public interest" in identifying the teenager despite his age after he pleaded guilty to the total of 12 counts. John was arrested at about 03:00 on 14 July, the court heard.Another unidentified person is listed on the indictment as also having been involved in the attacks. The substance used in the attacks was thought to have had a pH of one or two, an acidity level similar to battery acid, the court heard. Judge Lucas, reading a note from the defendant, said the guilty pleas were entered "on the basis that the acid was thrown to incapacitate the victims" and "the other male involved was much older than me". The judge quoted John, saying: "I really didn't appreciate the damage that would be done. "I'm terrified of the sentence that I will receive and I'm very sorry for what I did and realise I will receive a significant sentence of imprisonment." John did not enter a plea on a further charge of robbery on 25 June. The count will be dealt with at sentencing. Sentencing will take place on 9 March at Wood Green Crown Court.